This classic, well priced safari takes you to two of Botswana's unique regions and ends with a couple of nights in Victoria Falls. 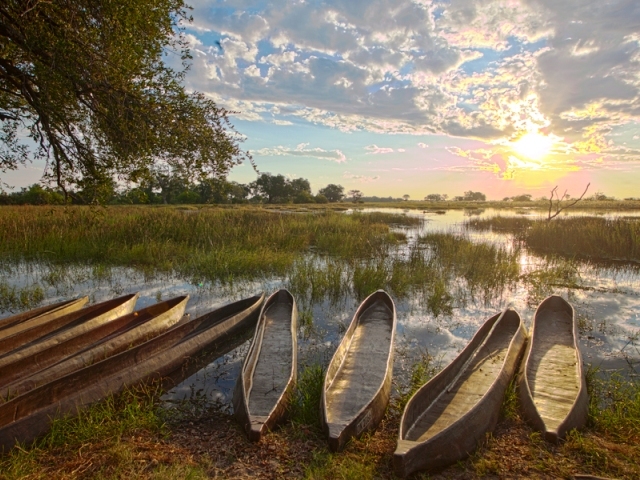 Start off at Africa's largest inland delta and Botswana's latest addition to UNESCO world heritage sites – the impressive, unique and pristine Okavango Delta, which is incomparable with any other destination. 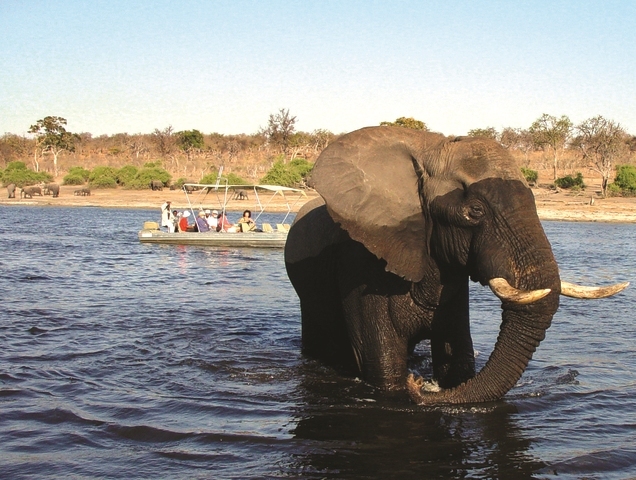 Then fly on to the Chobe Riverfront, famous for its vast quantities of all forms of wildlife, where you will enjoy both land and river safaris. Finish off with a bucket list for many - the Victoria Falls, another world heritage site full of fun activities and of course, the mighty Victoria Falls. 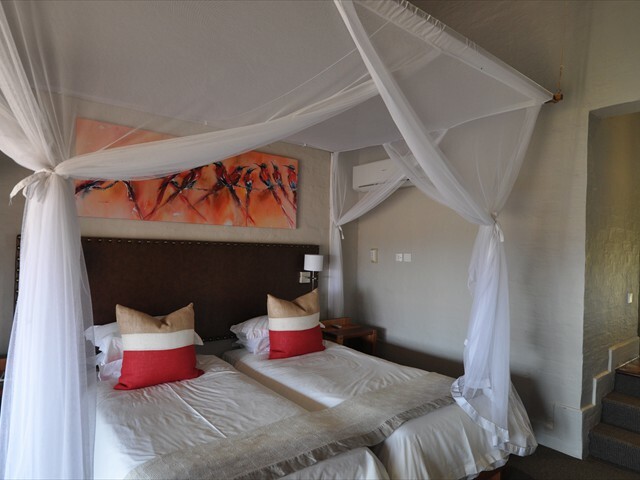 In honesty, two nights at each location is not long enough but if you're short of time and it's variety and splendour you are after then this package is ideal. It gets you into the right places at the right price! You can of course add on nights if you want. 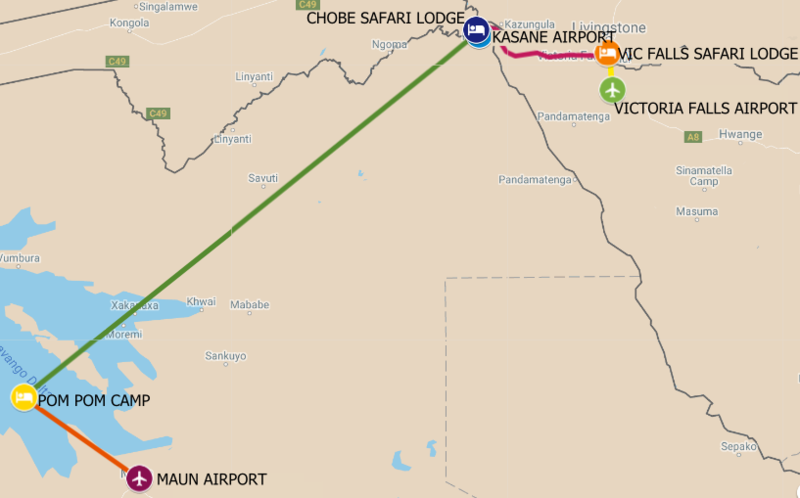 On arrival to Maun Airport you will be met by one of our representatives and checked onto your light aircraft flight to PomPom airstrip in the heart of the Okavango. After settling into your room and enjoying a bite to eat and possibly a rest, spend the rest of the afternoon with an activity of your choice. 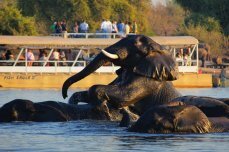 This can either be a Makoro cruise, a game walk, a game drive or a motorboat cruise. 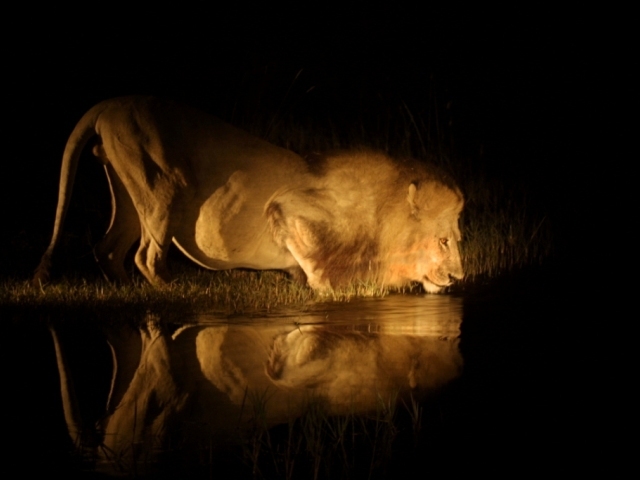 A night Game Drive is also recommended. Spend the morning and afternoon doing an activity of your choice. 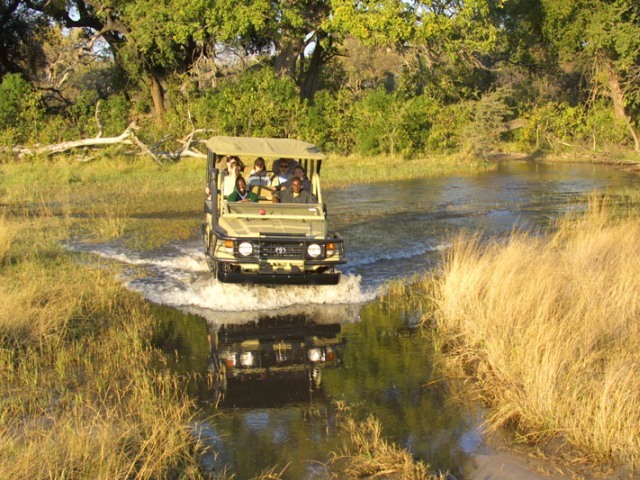 Options are a Makoro cruise, fishing, a game walk, a game drive or a motorboat cruise, in the evening a night drive is also recommended. Your informative guides will teach you about the flora and fauna of the area, which is fascinating! 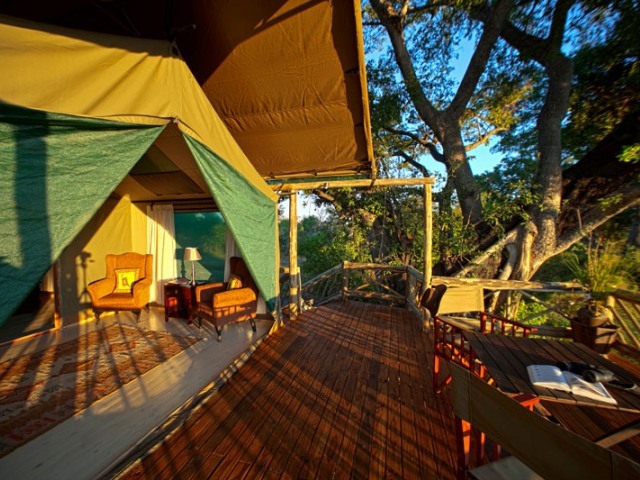 In the heart of the Okavango Delta within the MATSEBE concession area, Pom Pom Camp is another jewel in Botswana’s crown! 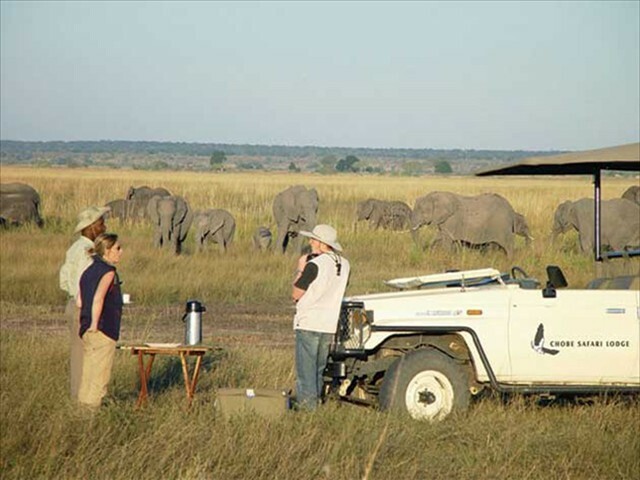 Pom Pom Camp is short 20-25minutes scenic flight over Okavango Delta from Maun. 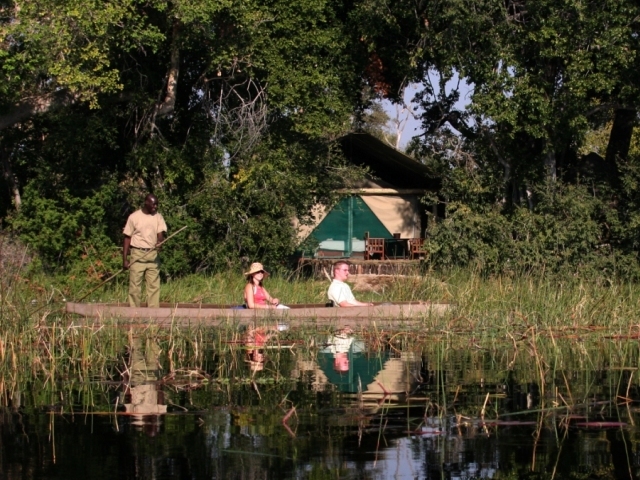 The camp overlooks a scenic lagoon and is quietly nestled under grove shady trees. Here hippo grunt and frolic in front of camp’s permanent lagoon that is surrounded by miles of reeds. In a clear water oasis “makoros” offer you a wonderful means of viewing wildlife as you glide between palm fringed islands. 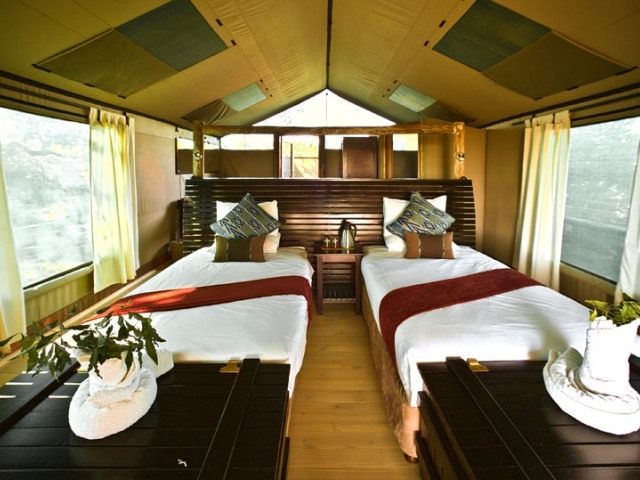 The camp has 9 large luxury safari tents, all with en-suite showers and flush toilets; the bathrooms are enclosed for privacy, security and importantly offer you a truly unique bush adventure. 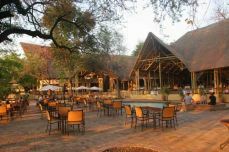 In the main thatched building you will find a cosy bar, lounge and table settings for imaginative meals prepared by the safari chefs. 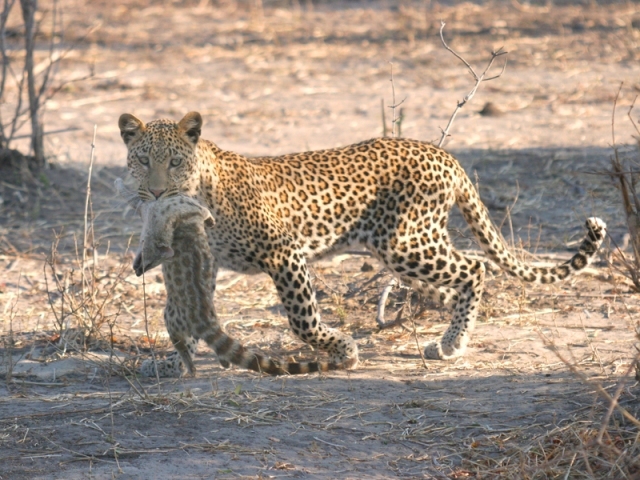 Activities on offer at Pom Pom Camp are game drives, night drive, mokoro excursions, boat cruises, game walks and fishing. Fishing is also possible at Pom Pom, and our guides will be happy to take you to their secret spots to try for African Pike and a variety of Bream species. 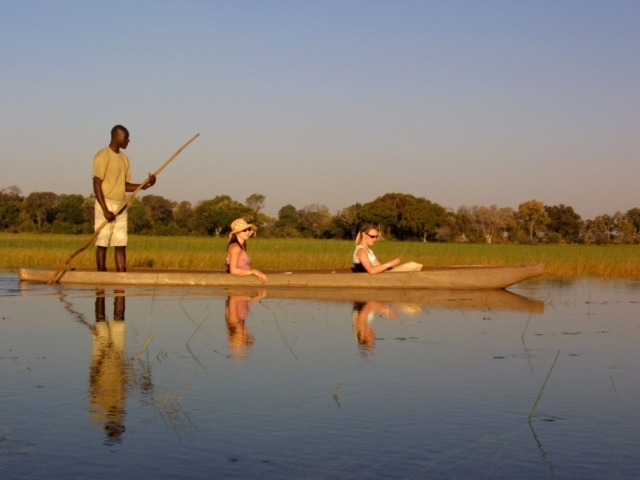 A Makoro or Mokoro (mekoro plural) trip is a fantastic way to experience the wonders of the Okavango Delta. 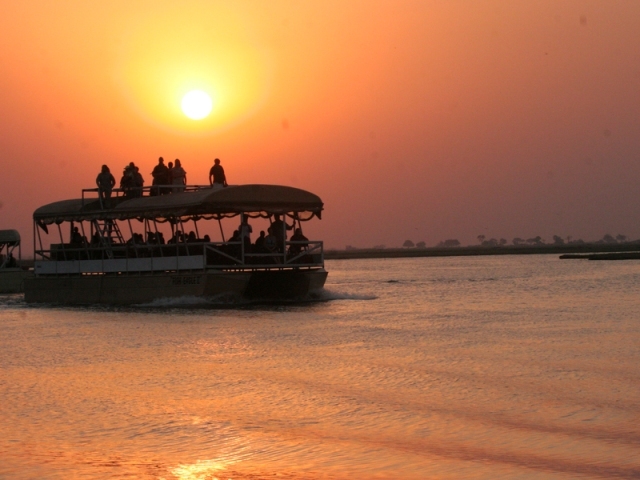 In the company of a professional poler with vast experience of the Delta, you will be able to enjoy the sights and sounds of this unique habitat and learn about the waterways and wildlife. 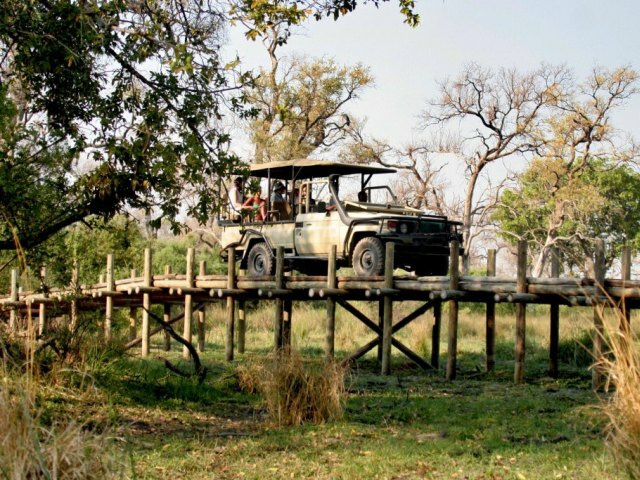 After a final early morning activity and breakfast at Pom Pom, you will be taken to the airstrip for your flight to Kasane Airport, where you will be met by a representative from Chobe Safari Lodge who will transfer you to the lodge - only 10 minutes away. After checking in you will meet your personal activities advisor who will explain how the game drives, cruises and other activities work, along with the times and places of departure. Lunch, is a delicious buffet spread or you can take a pool snack for the not so hungry. 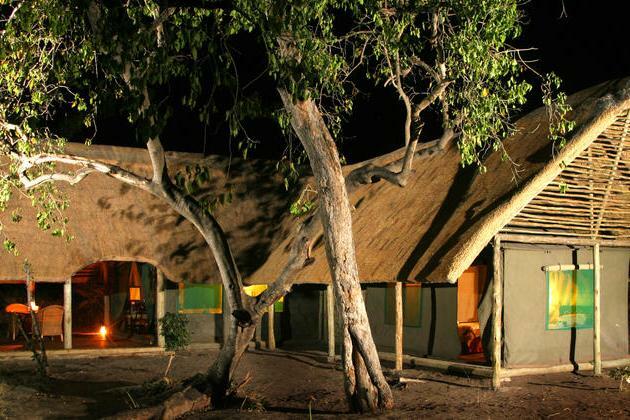 Chobe Safari Lodge is situated in Kasane on the banks of the Chobe River, just a short 10-minute drive to the entrance gate of the Chobe National Park making it an ideal choice. 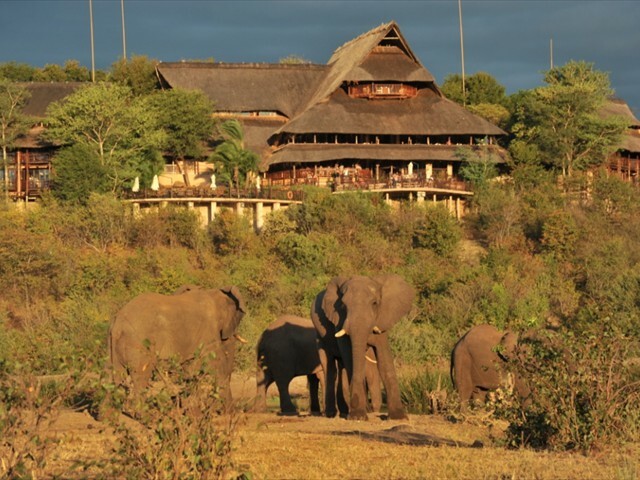 This popular lodge has 66 bedrooms and 8 rondavels, a large central eating and entertainment area, with an inviting swimming pool. The riverside bar is a great place to enjoy a few drinks before or after your game activities. 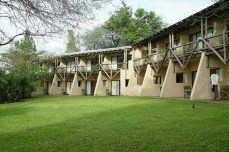 The bedrooms all face the river and are big and comfortable, with fans and air-conditioning, along with all other necessary amenities. The staff are friendly and helpful and the lodge is well organised. Wild but habituated warthogs, mongoose and monkeys roam freely on the lawns providing endless entertainment from the balcony of your room, while the variety of birds is an absolute delight. 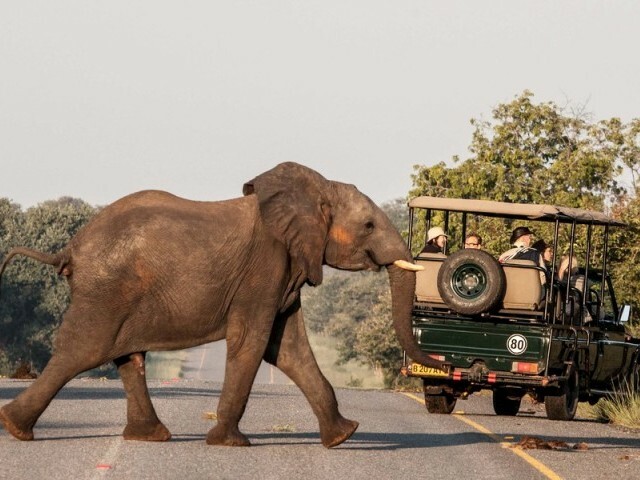 Today after another early morning game drive and breakfast you will be met and transferred by air-conditioned minibus to Victoria Falls Safari Lodge in Zimbabwe. You will need to have your travel documents (including a visa if applicable). It takes approximately one hour, excluding border crossing procedures. 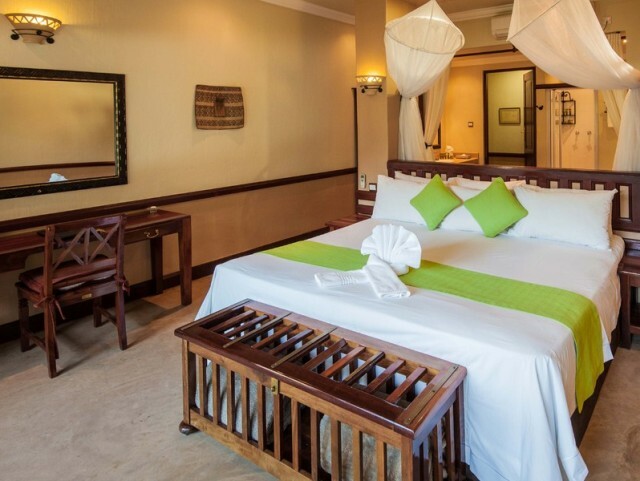 You will arrive in time for lunch and have the opportunity to settle in and relax. Later in the afternoon we recommend a sunset cruise or helicopter flight. Dinner can either be at the hotel or we can recommend other options in and around town. Although activities are not included in the package price, please let us help you to arrange an itinerary of activities suitable for you. Have a look at this page Victoria Falls activities to see what is on offer. 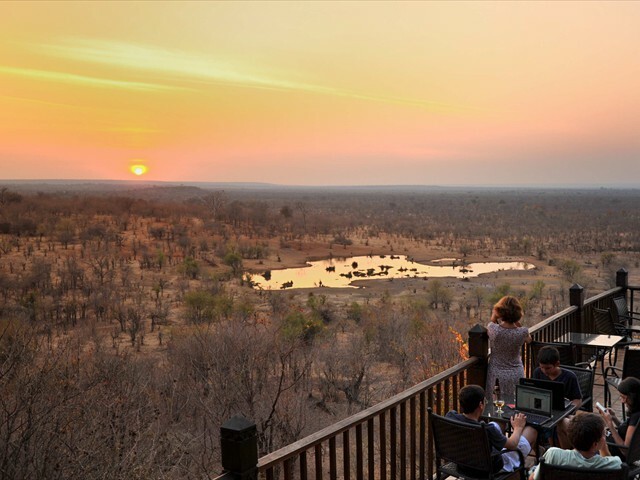 You have a full day to soak up the wonderful atmosphere of Victoria Falls, it is the adventure capital of Africa and there are activities on offer to cater for everyone’s needs. View the mighty Falls, partake in the many activities on offer or wander around the streets to do a bit of curio shopping, then finish off at a café for refreshments and a bite to eat. 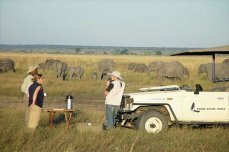 Please have a look at the activities available Victoria Falls Activities and contact us to arrange a suitable itinerary just for you.